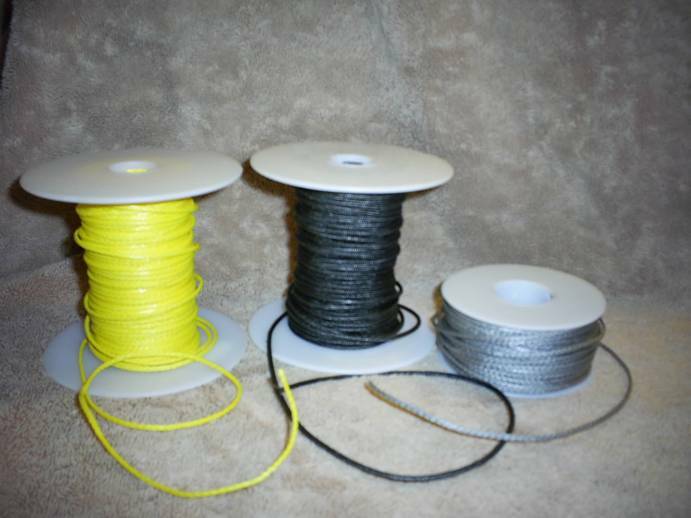 It can be tough to get a clean fast cut on Dyneema and Spectra string because it is a tough material, that’s why it’s ideal for use in speargun bands. There are plenty of ways to cut Dyneema and Spectra cords but to get a fast clean, cut we use a pair of sharp scissors and modify the way you would normally use a pair of scissors. First, hold both ends of the Dyneema or Spectra string taught and away from each other. Then put the scissors on the Dyneema or Spectra like you would normally cut string but put the scissors only half way on. Squeeze the scissors lightly and push the scissors away from you at the same time briskly. Experiment with different pressures and you will be able to get a perfect fast cut every time. Dyneema is the strongest fibers in the world, 10 times stronger than steel for its weight.